Every once in a while we revisit a technique from years past. 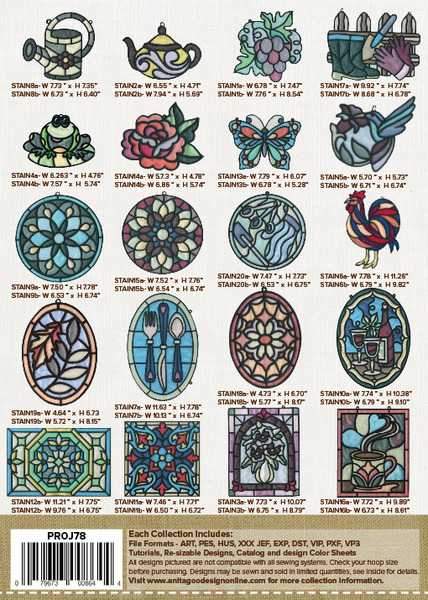 Instead of creating small Christmas ornaments we designed large intricate designs that will look beautiful hanging in your windows. They are very easy to create, you simply sandwich clear vinyl in between two layers of organza! 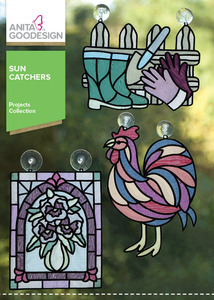 The designs catch light just the away stained glass does, people won’t believe that they are created with thread. You will love these designs!